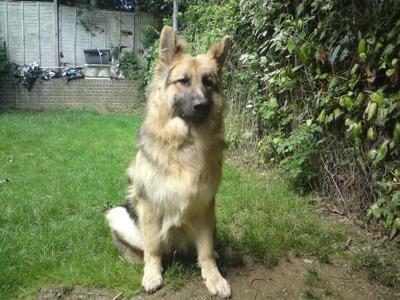 Hi, My name is Lorna Vassie, and i am the proud owner of two GSD's, My second one is Called Bailey and he is 19months old. we had bailey from 12 weeks of age and from day one we knew we had a very soppy dog on our hands, he is very laid back, excellent with children and other animals. He is fantastic with our younger dog and very patient!! 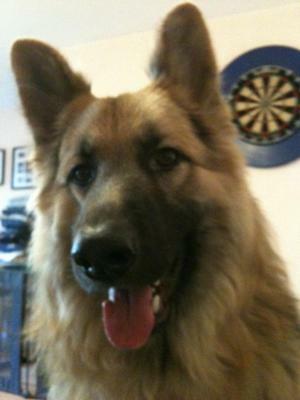 I have attached some pictures of Bailey for you as well and im sure he will fit the bill for GSD of the month as well. What a Love Bailey is. 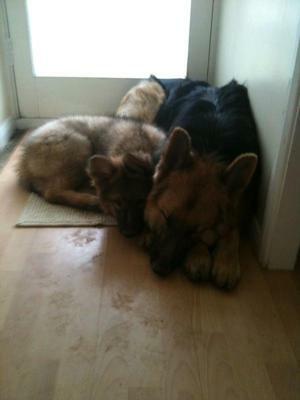 Loved the pictures of your furkids. 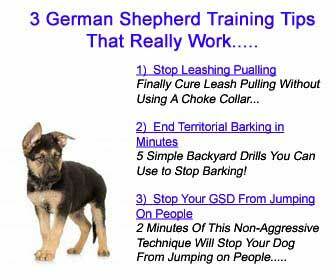 May you have years of unconditional love and devotion as only a German Shepherd Dog can provide.